Isn’t it time you stand out from the crowd with a memorable and meaningful offering that helps you make more money? 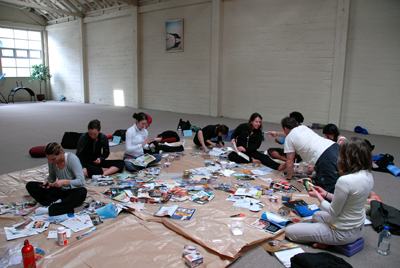 Say good-bye to ordinary, ho-hum vision board workshops. AND that help your creative business unfold beautifully! without spending a fortune or spinning your wheels! When I developed this creative goal-setting process in 2003, I was amazed by how many of my big dreams manifested. Within six months, my husband and I bought our first home (which met all the criteria written in my vision book!). I also started to grow my coaching business, eventually took the leap from Corporate America into the world of entrepreneurship, wrote a bestselling book, and so much more! Your next offering is all ready for you to launch. So get started now! After years of hearing so many requests from people just like you who want to lead clients through this inspiring and hands-on approach, I’m finally offering a lifetime license to lead Unfolding Your Life Vision® workshops – right in time for you to get your first workshops scheduled for the fall! Read on to find out how owning an Unfolding Your Life Vision® license can help you expand your business and help your clients live their dreams. 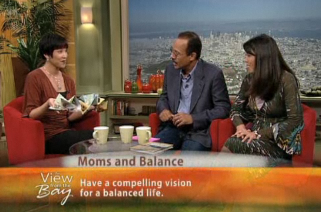 Here’s to inspiring visions, creative flow, and financial abundance! Can you find yourself in any of these scenarios? Are you struggling to develop your own programs from scratch when you really want to serve your clients NOW? Are you a new life coach looking for an additional ready-to-go income stream? Are you an art therapist or expressive arts facilitator who wants to incorporate another creative medium into your practice? Are you an artist or creative soul who’s been wanting to break into the workshop scene but haven’t known where to start? Are you an established coach or workshop leader longing to revitalize your toolkit with unique, quality resources? Finally your creative business unfolding exactly as you want. Make your clients’ creative dreams come true. 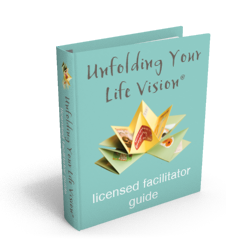 Become a licensed Unfolding Your Life Vision® facilitator and for a super-affordable, one-time fee get the information you need to guide in-person groups and individual clients through this fun and interactive program. Now you can take this tested approach and grow your business while you’re helping others live colorful, fulfilling lives. Earn your investment back after leading one workshop. Get started quickly. Stop wasting time struggling to develop new content. This proven method is all there for you. You just get to spread the word, show up, have fun, and make money! That’s why you’ve been wanting to lead more of them… but you’ve been stalled trying to create yours from scratch. With this done-for-you licensing program you can get started right away. I’ve taken out all of the guess work for you, so you can focus on teaching inspiring and profitable workshops now. Fabulous folks from all walks of life are eager and waiting to work with you! Don’t keep them waiting any longer. The Licensing Program gives you all the materials you need to start reaching out to and serving your perfect customers right away. Find out more about what’s included in the license here. The first step to holding your vision in your hands. It is not often that I feel excited enough about a program I’ve completed to want to pass on the knowledge to other people, but that is exactly how I feel about Jennifer Lee’s workshops and products. I have gained so much more clarity and greater faith in my creative abilities since working with Jenn’s programs. I have no doubt that other people will get as much inspiration and guidance from engaging with her unique visually-oriented process as I have. I love that I am presenting my clients with programs that have a proven track record, and that I have access to such beautiful and uplifting teaching and marketing tools. For my business, the Unfolding Your Life Vision® workshops will be a perfect partner to Right-Brain Business Plan® workshops, as I will be able to reach many more clients. Not everyone wants to start or run their own business, yet everyone one wants a clear life vision, one they can hold in the palm of their hand – and with this one you really can! A true gem that supports creative people where they are in being who they are the way they are. 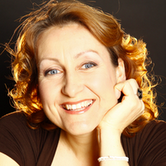 “In my work with highly sensitive people (HSPs), I don’t often find such topics as business and life planning that have too many resources I can refer them to. The resources available for these topics are usually only rational and logical with a very close-up focus, while losing all possibility of the big beautiful picture that I find sensitive people come from. Those methods just don’t work for HSPs, and never will. So, I LOVE that I don’t have to create a whole planning process for HSPs that fits with my work, it’s already been done by Jenn and I have access to use it on my own! YAY! The Right Brain Business Plan® and Unfolding Your Life Vision® licensing programs give me immediately usable resources to add even more supportive services for the creative people that I work with who don’t fit in the box. It allows them to work with the typically linear aspects of business and life in a swirly, twirly humongously-outside-of-the-box way that actually WORKS for them and fits in perfectly with my model of The Highly Sensitive Hierarchy of Needs. An out of the box solution that helps me get on with building my business. “I’m so excited that Jenn is offering this licensing program because it’s a beautiful product, unique and very distinctive – and one that will be wonderful to offer people on this side of the pond. This program will make it easier to offer a clear range of workshops and products that enhance my own brand, yet where all the testing and tweaking (and marketing) has already been done – it’s an out of the box solution that helps me get on with building my business. Also, I feel it will complement the Right-Brain Business Plan® workshops perfectly, as it has for Jenn in her own business. Help my clients stay grounded in their vision and values. “I am so excited that Jenn is offering this licensing program because more people seeking inspiration will benefit from physically carrying their vision and values with them. 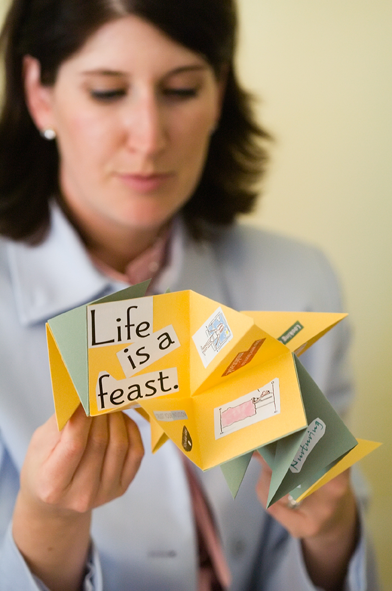 I created my own Unfolding Your Life Vision® collaged book over a year ago. It has traveled with me and continues to be a source of fuel along my journey. A cost-effective tool to grow my business. “Next year, I want to increase the creative visioning work I do with my current clients AND increase the number of clients I am working with. 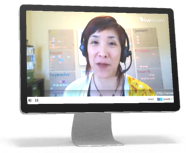 Jennifer’s UYLV license opportunity provides me with a new tool to use with my clients and the chance to set up a workshop that will bring in new clients in the new year. I am also very excited to connect with a very strong, impressive brand – Artizen Coaching. Instructions that guide you step-by-step through how to deliver the workshop. It’s like having me right there with you! Pre-designed templates to make gorgeous flyers and postcards. No need to waste time or money hiring a designer! 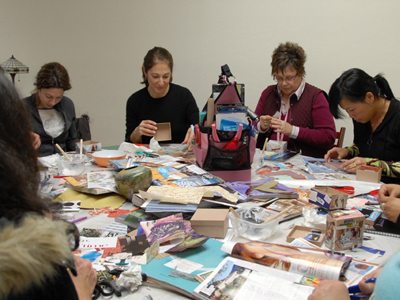 And, yes, men have enjoyed participating in these workshops, too! You must complete full payment on the Unfolding Your Life Vision® facilitator license and facilitator guide. You must sign the licensing agreement during the checkout process. We highly recommend that you have at least some training or experience in coaching and/or group facilitation in order to successfully lead this program. Once you sign-up, all the goodies will go straight to your in-box so you can get started right away. 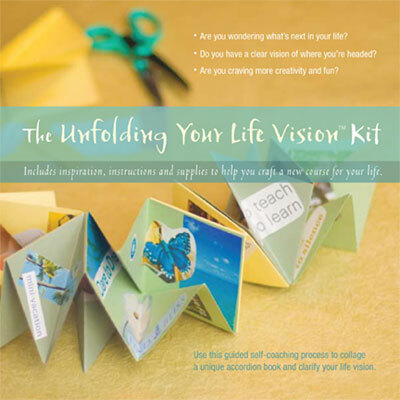 Please note: Your bonus Unfolding Your Life Vision® Kit will ship out within 2 business days of your order. If you have questions, please check out the FAQs. Bonus Dream Box Workshop AND Exploding Box Year-in-Review Workshop: THREE unique workshops for the price of one! 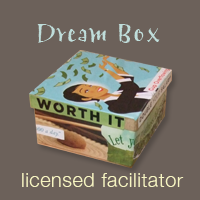 Bonus #1: Be a Dream Box Licensed Facilitator, too! Not only do you get rights to run my signature Unfolding Your Life Vision® workshop, but you also get rights to lead my signature Dream Box Workshop as well (value $495). Your facilitator guide will include the Dream Box course outline plus marketing materials to help you get the word out. 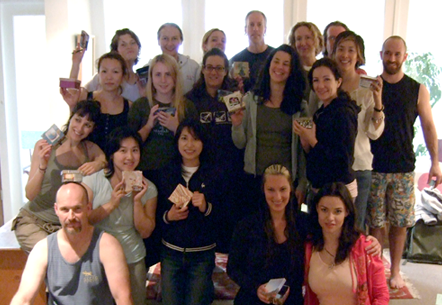 The Dream Box Workshop was a popular module of the It’s Yoga Teacher Training Program, which had students from around the world. 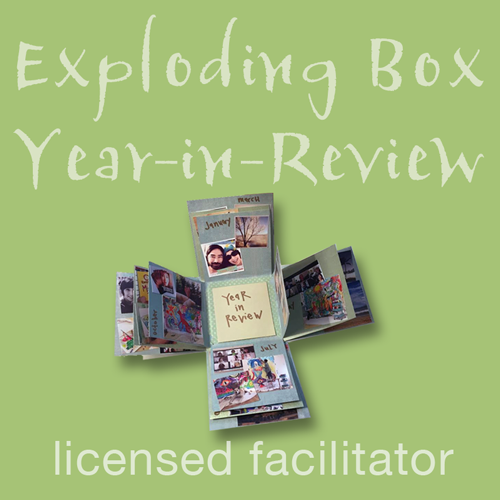 Bonus #2: AND Be an Exploding Box Year-in-Review Licensed Facilitator, too! 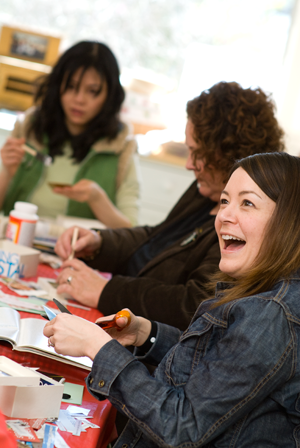 Not only do you get rights to run my signature Unfolding Your Life Vision® workshop, and Dream Box workshop, but you also get rights to lead my fun Exploding Box Year-in-Review Workshop to boot (value $495)! You’ll get simple instructions and templates to help your participants create a unique visual recap of their year – great for end of year reflection and celebrations. Your facilitator guide will include the Exploding Box Year-in-Review course outline, easy-to-use templates, plus marketing materials to help you get the word out. Not sure what an Exploding Box Year-in-Review is? Check out this cool video clip! You’re basically getting 3 workshops for the price of one! A complimentary kit (value $30) so you can get acquainted with the process yourself. Only comes with Full Pay option. Rights to use my illustrated Your Life in Bloom playsheet in your workshops and with your clients (value $25). This is a fun and playful alternative to the traditional Wheel of Life exercise used to assess different aspects of your clients’ life. You get all of these amazing goodies (valued at more than $1000) when you become an Unfolding Your Life Vision® licensed facilitator! Thanks for helping to bring more beauty, vibrancy, and joy into the world through doing this work. The world needs more creative, heart-based leaders like you! 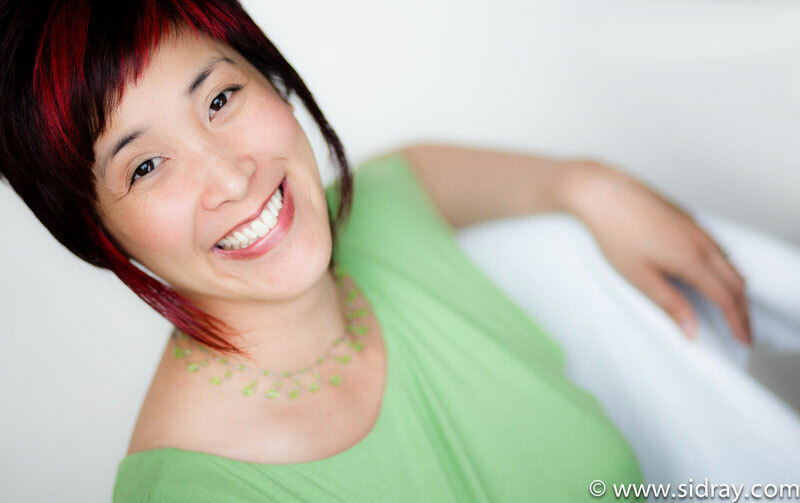 Jennifer Lee, CPCC, PCC, MA, is the founder of Artizen Coaching and author of The Right-Brain Business Plan: A Creative, Visual Map for Success (New World Library, 2011). Her bestselling book has helped thousands of entrepreneurs around the world grow their businesses authentically and creatively. Jennifer has been featured in Whole Living, Entrepreneur, Family Circle, Cloth Paper Scissors Studios, and Choice magazines. After spending 10 years climbing the corporate ladder and getting tired of living her dream “on-the-side,” in 2006 she took the leap to pursue her passions full-time and now helps others do the same. She received her coaching certification and leadership training through the prestigious Coaches Training Institute. She is also a certified yoga instructor, a certified Intuitive Painting and Expressive Arts Facilitator, and holds a B.A. in Communication Studies from UCLA and an M.A. in Communication Management from USC.